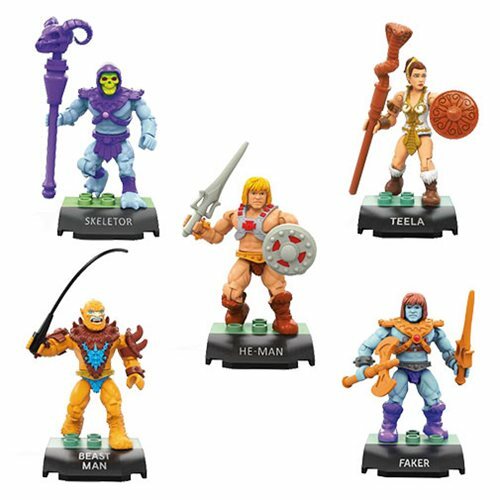 Mastering the Universe: A He-Man & She-Ra Celebration! September 18th & 19th, 2015 at the Egyptian Theatre in Los Angeles, CA. 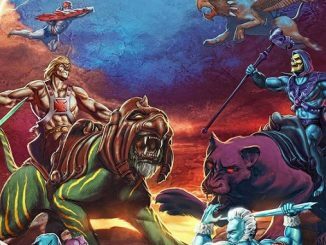 After Friday night’s successful screening and panel of Masters of the Universe, it was time for Saturday’s big event, an entire day of mini-convention, screenings, Q&A’s and the west coast premiere of Toy Masters! 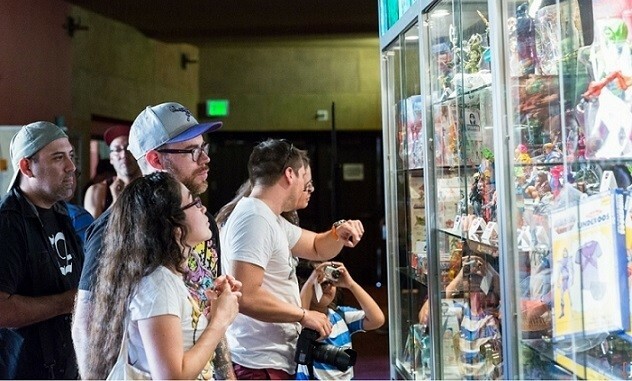 Our vendors like La-La Land Records, Scrooze Toys, Animation, Inc., collector Steve York, artist Dave Woodman and Super7 were joined by Skeletor and She-Ra voice actors Alan Oppenheimer and Melendy Britt. I was happy to see a line was forming before we opened doors and thanked everyone for showing up and for their patience as we prepared. Energy was great, the He-Man fans were very enthusiastic and checked out all of the glorious toys and displays Mattel and Pretty In Pink provided. Programmer Grant had somehow unearthed two episodes from the second season of Masters of the Universe on 16mm to add to our pre-show lobby con and had them screening in the theater. Erika Scheimer helped kick things off with her boundless energy and enthusiasm as we discussed her involvement with Filmation. Run by her father, animation pioneer Lou, who kept work in America and also created a new market for cartoons as He-Man went straight into syndication with a 65 episode order, effectively leading the way for She-Ra, G.I. Joe and Transformers. Erika got involved in the family business after graduating from Stanford but finding herself without a job. Working for dad as a voice actor, she gave the audience a taste of her characters Imp and Loo-kee and explained how she’d picked up a guitar at age 12 so writing and performing “I Have the Power” for The Secret of the Sword was a real treat. 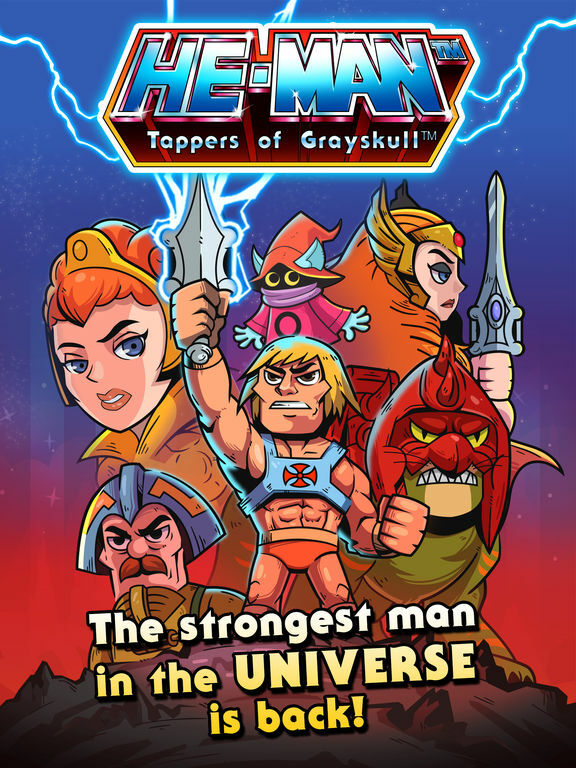 The worldwide popularity of He-Man shocked the family as they traveled to conferences in Europe. A fan in the audience said he met his partner through their love for He-Man and Erika expounded on the impact the show had on viewers which touches her heart to this day. It was an honor and a pleasure to have Erika and her partner Amy there as well as a great way to start off the day. Heritage Auction House will be putting some of Lou’s private collection up for bid to get items into the hands of the loving fans. Artist and He-Man co-creator Mark Taylor was our next guest, and He-Man World administrator John Atkin took the mic for an informative, educational and hilarious panel. Did you know that the price of toys covers the cost of legal action in case someone is hurt or killed by them?! I didn’t…Mark is a terrific talker, knowledgeable and engaging as he discussed the psyche of He-Man and Skeletor, the importance of Joseph Campbell and telling a story through any piece of work whether it’s a piece of art or a painting. 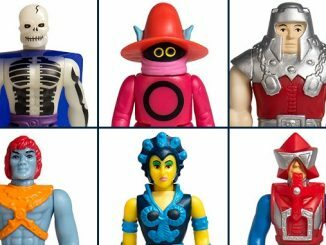 Originally working freelance, Mattel invited him to work in house on Barbie and Shogun Warriors. His uncles had served in the war and Taylor wanted to create a hero who was strong and brave, tinged by Tarzan, Prince Valiant and Greek literature. A hero didn’t need a lot of armor or sit in a tank to him, the guy who just goes out there and does it, prevailing against all odds. 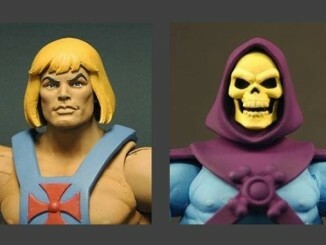 Nobody wanted to work on He-Man back then as Barbie was the successful brand that could launch a career. Battle Cat came from the Tarzan line Mattel had already done but his back was too broad for He-Man figures so the saddle was created. Kids responded so well to the toys, test groups tried to steal them. Mark ended up working on Hot Wheels as well as in Japanese animation. A truly fascinating individual and his wife Rebecca is a sweetheart as well. Two classic episodes screened before the Filmation panel of artist/director Tom Sito, writers Larry DiTillio, Marc Zicree and Brooks Wachtel along with voice actors Alan Oppenheimer and Melendy Britt took the stage. Unfortunately I had to miss most of this panel as I was running things in the lobby but caught snippets about how He-Man was actually a pretty bad hero since he’s totally reactive to Skeletor’s scheming versus being proactive. Oppenheimer had no idea the cartoon would live on as long as it has and make such an impact. 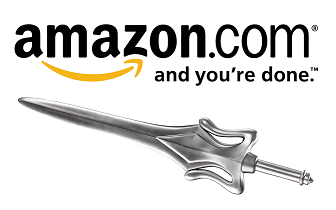 Oh yeah, when we met, he totally went into Skeletor and Mer-Man voices without even trying, it was awesome.